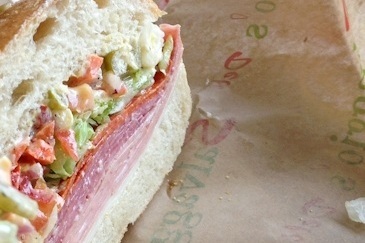 Salvaggio's Deli has been bringing high quality, east coast delicatessen fare to the Boulder/Denver area since 1994. Salvaggio's features Boar's Head meats, fresh salads, soups, and killer breakfast sandwiches. We bake our own rolls fresh daily, slice our Boars Head meats and cheeses fresh to order, and offer you a huge selection of the freshest toppings so you can create your own Master Sandwich! Ask Us About Delivery in Your Area!